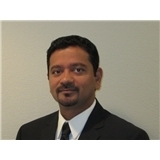 Dr. Vijay Mandyam (Northridge) - Book Appointment Online! We have been in practice since 1997. We take pride in taking care of all our patients like family. Dr. Mandyam is well trained in all aspects of foot and ankle pathologies.